Letter dated March 28, 1933 from Louis McH. 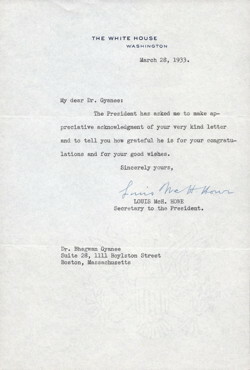 Howe, secretary to President Roosevelt, to Bhagwan Singh Gyanee . 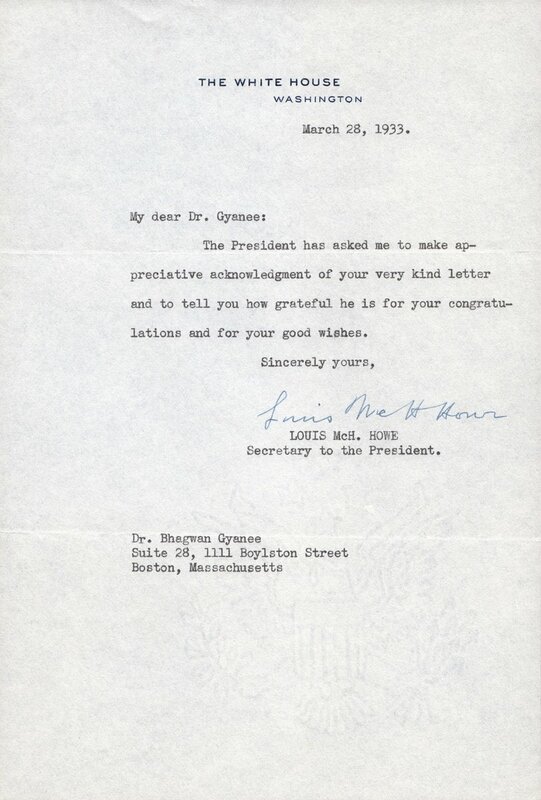 The letter reads, "The President has asked me to take appreciate acknowledgment of your very kind letter and to tell how grateful he is for your congratulations and your good wishes."